A downtown landmark, the Jewish History Building is the first synagogue built in the Arizona Territory. The building served as the original home of Congregation Temple Emanu-El from 1910-1948. In the 1980s, following a series of decades during which the building was occupied by various organizations, the property sat vacant and fell into disrepair. The Jewish community initiated a project to rescue and restore the building and established the Stone Avenue Temple Project at 564 South Stone Avenue as a historic landmark in downtown Tucson. 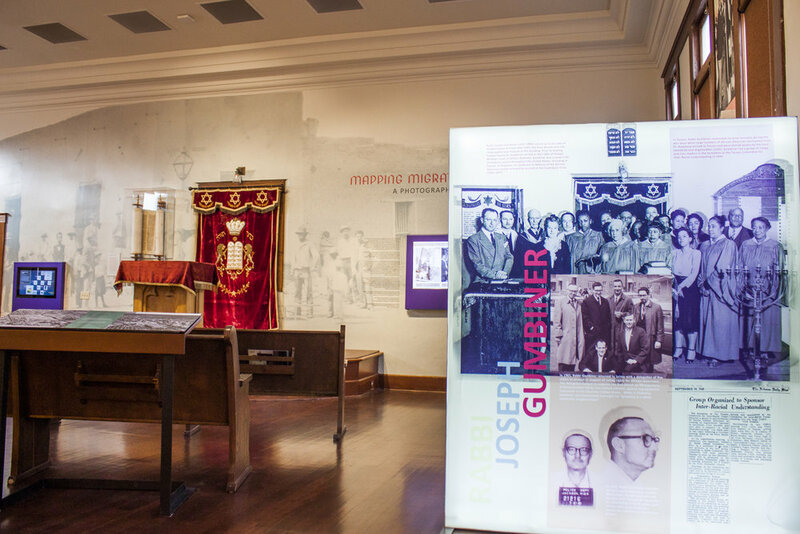 This historic building is now the central location of the Jewish History Museum, where the history of Jews in Southern Arizona is presented through dynamic exhibitions and Jewish culture thrives through a robust schedule of programs. Saturday and Sunday 1 - 5 p.m. Private tours available by appointment year round - click here to book one now!